Connecting a rich history to an innovative future for the Bare Hills community and Lake Roland. Bluestem is a proposed mixed-use project that will include retail, dining and a multi-family residential building on six acres at 6241 through 6247 Falls Road in the Bare Hills community. The primary design objective of this development is to promote an interconnected village concept with a distinctive town character. Bluestem is adjacent to Lake Roland, a tremendous natural resource for the region and a source of shared interest for the surrounding communities. 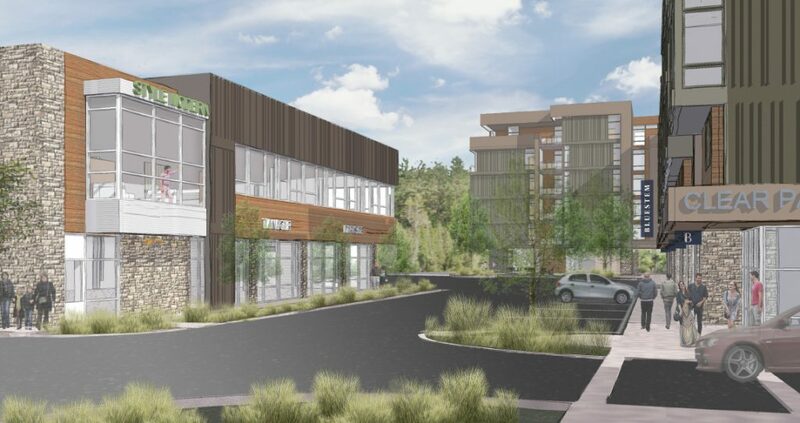 The proposed plan includes a point of entry to the park, meeting the community’s demand for the creation of a mixed-use village with a focus on the park. Through the input of local stakeholders and professionals, the development has been designed to improve sustainability and usability for Lake Roland. The developers have engaged local community holders and teamed with experts familiar both with the park itself as well as the specific type of redevelopment. No development within the forest buffer. No parking on park property. Approximately one acre of green space included in the current plan. 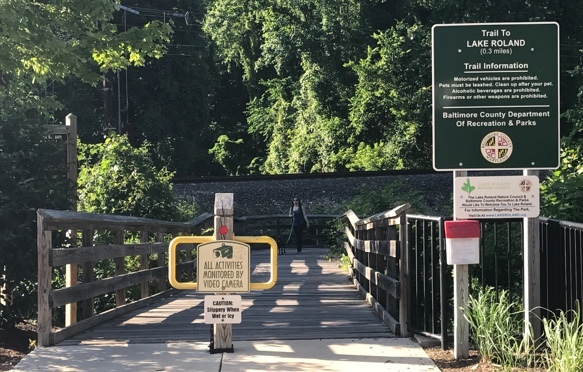 Better and closer access to Lake Roland Park’s Orange Trail. Residential building relocated away from Lake Roland Park’s Purple Connector Trail. Retail on first floor with residential above for the mixed-use portion of the project. Number of drive-thru’s allowed reduced from 3 to 2. Maximum permitted building height lowered from 8 to 6 floors. The development has been planned in an environmentally conscious effort to improve the property and benefit the park. It will improve the watershed, protect the local ecosystem, and support the conservation of the open space through modern improvements and redevelopment of outdated infrastructure. Bluestem would replace several outdated commercial structures as well as a large mulch operation and equipment storage yard that abuts the park. The mulch facility produces a perpetual noxious odor and other negative environmental impacts. Further, it is not compatible with the concept of a walkable village and is inconsistent with the economic revitalization currently underway in Bare Hills. The developers of Bluestem have extensively engaged local community members and stakeholders to understand what is important to neighbors, businesses and park-goers. The developers have taken exceptional measures to design the project in a way that lends the resources of the property to improve functionality and accessibility to the park. It will produce an amenity for housing aligned with the community for which there is no existing supply. "A major theme of the 2010 Community Plan is creating ‘connections’. This important planning principle is not just about obvious connections relating to pedestrian and other transportation needs. Rather, the goal is to think about the community’s relationship to its surrounding communities and the region. The Park is a central part of what binds and connects the surrounding communities, and more broadly has the potential to be an important regional asset. Consequently, a significant part of the 2010 Community Plan focuses on the Park and the creation of a mixed-use village in the Bare Hills community on Falls Road." (RRLR Plan, p. 4). 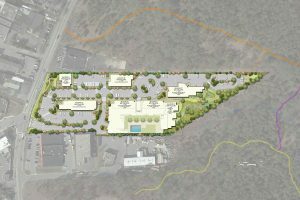 The development has implored state-of-the-art techniques for landscape architecture, engineering, and construction in order to provide modern facilities both to current neighbors and future residents. It will be built under modern codes and building requirements with a vision for future needs of the surrounding community. The planned development falls within a Business, Major-Commercial, Community Core (“BM-CCC”) zone. Our Water & Sewer System? Bluestem will be served by public water and sewer. According to the 2017 Basic Services Maps, the property is not located within a deficient area or an area of special concern for either water or sewer. The public water and sewer is sufficiently sized to accommodate the project. According to the 2017 Basic Services Maps, Bluestem is not located within a deficient transportation area and will not negatively impact the traffic conditions in the area. The site will be served by a full-service traffic signal. This one access point—both in and out—is safer than the multiple curb cuts that currently exist along the property. 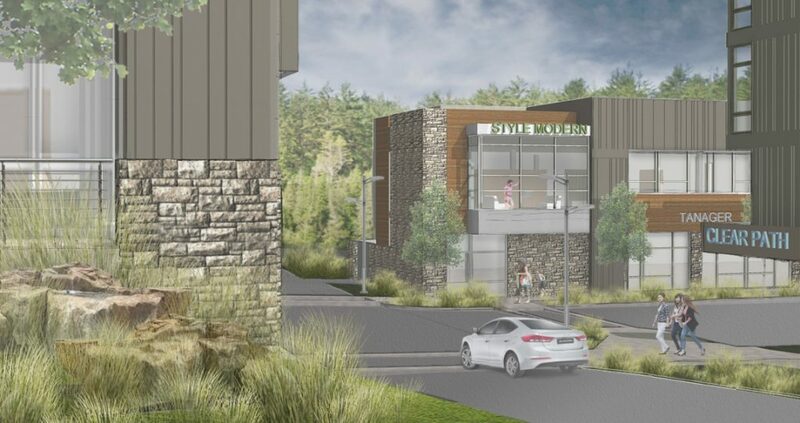 The project includes walkable linkages to be constructed between Lake Roland and the Bare Hills community as well as between Bluestem and nearby amenities. As a result, the amount of pedestrian access in Bare Hills will be significantly increased. 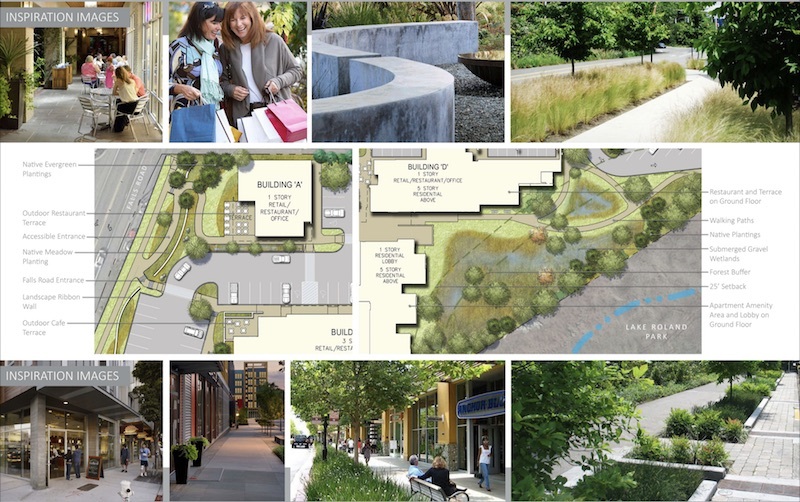 Enhancing walkability is a foundational theme upon which Bluestem is based. It is expected that the proposed project will spur an increase in pedestrian activity, which is expected to reduce the overall traffic impact within the community. The site is currently home to a large mulch operation and equipment storage yard that produces a perpetual noxious odor and other negative environmental impacts, including run off. Bluestem will remove the facility and associated environmental impacts and bring this outdated parcel into conformance with current environmental regulations and standards. This will drastically improve the overall environmental condition of the property compared to its current state. Specifically, the existing storm water management facilities will be adapted and reconfigured in accordance with Maryland Department of the Environment’s water quality requirements and in compliance with Baltimore County’s storm water flood control standards. Within the BM-CCC zone, no apartment units are allowed on the first floor of a building, but the number of apartment units permitted above the first story of any building is unlimited. Bluestem apartment units will be confined to a single six-story building overlooking Lake Roland Park. This building will accommodate approximately 150 units—all above the first floor. The number of parking spaces required is based on the number of residential units proposed as well as a calculation of the number of square feet being occupied by each type of commercial use (i.e., restaurant, retail or office). Based on the uses proposed, Bluestem will meet all Baltimore County parking requirements and no parking variances will be requested. Bluestem is served by West Towson Elementary School, Dumbarton Middle School and Towson High School. The anticipated pupil yield from the approximately 150 multi-family units proposed are as follows: 4 elementary, 2 middle and 2 high school students. Pursuant to the enrollment figures published by Baltimore County Public Schools, there is adequate space when considering adjacent school capacity. Our Police & Fire Resources?